If you haven’t been able to tell lately, I have recently fallen deep in love with all things Tarte. This time it’s the Tarte Amazonian Clay Full Coverage Airbrush Foundation. I may be a bit late to the realm of powdered foundation; late as in the phase has come and already gone and is really not a thing anymore. I’ve never used a powder foundation before, assuming that it doesn’t actually do anything. 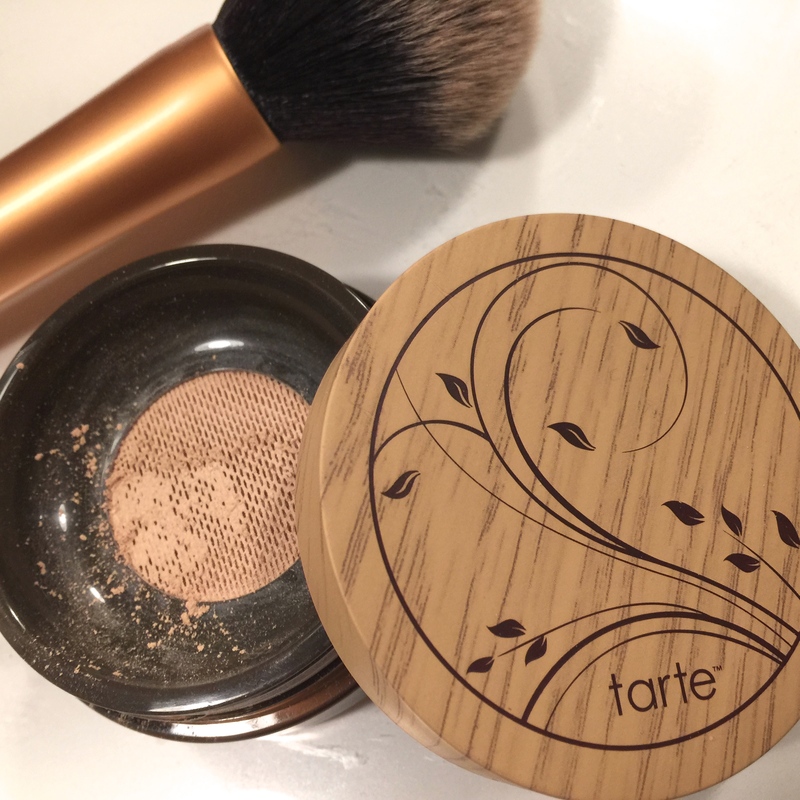 But with my newfound and deep love of Tarte, and a search for something new to achieve a flawless face, I found myself walking out of Ulta on my recent Florida trip with this beautiful powder compact. I had someone help figure out which shade was best for my face and I brought home the shade Light-Medium Neutral for a few days trial. I used my favourite Real Techniques Expert Face Brush to apply the powder, although I think I may be in search of something a little less dense in the future. I started in the centre of my face and blended the powder into a primed face. I love the way it smooths on and how soft it feels on my face. The nice thing about this is Tarte’s amazonian clay formula which works with the natural oils in your face to balance your skin tones. Therefore it won’t make you skin too dry or too oily and won’t flake and settle into fine lines, wrinkles, or blemishes. The results truly are an “airbrushed” effect and my skin looks and feels flawless. Better results than I could have ever imagined from a powdered foundation. Tarte has really been killing it lately with all of their products. From liquid foundations, concealers, mascara, and now powdered foundations, I think I can safely say that Tarte may be the #1 brand in my drawers at the moment. What Tarte products are your favourite? Which should I try next? Do you happen to have oily or dry skin? I’ve been looking into this one and am not sure if it would work with my skin type. Also.. Love your blog!! Hi! Thanks so much for reading. I tend to have normal/combination skin. Meaning it can be oily in some places such as my t-zone and dry in other such as my cheeks. The nice thing about Tarte Amazonian Clay products is that they work with the natural oils of your face to balance it out. Therefore all Amazonian clay products are perfect for any skin type. Hope that helps. Xox Coleen.